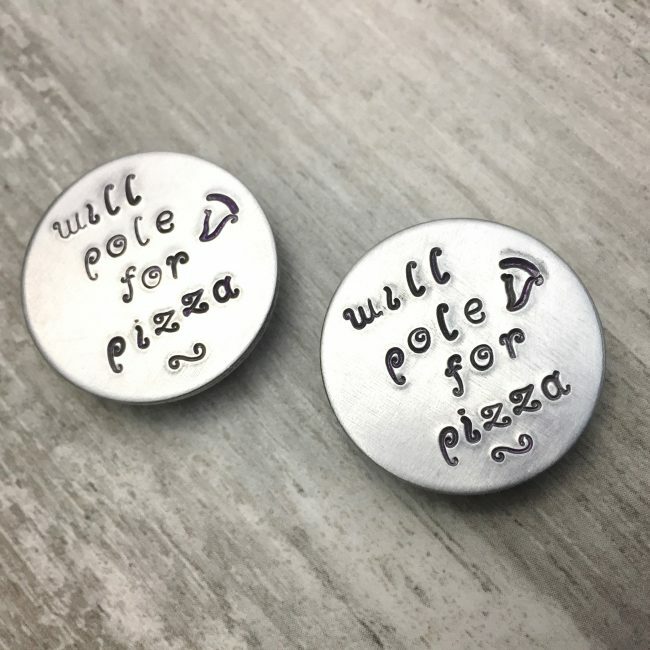 Will pole for pizza… enough said! 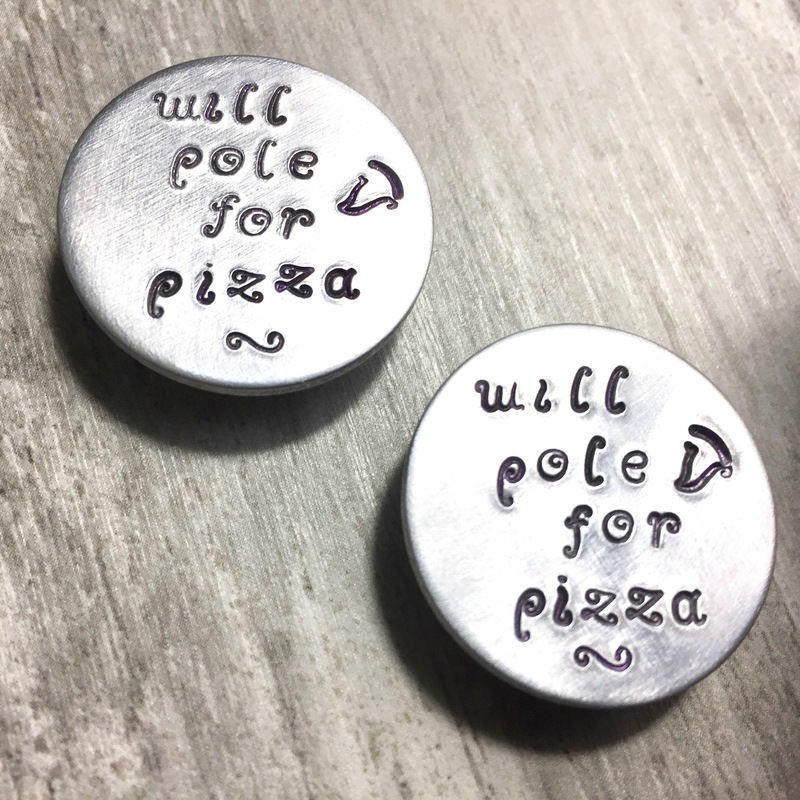 Set of two hand stamped magnets – stick them to your calendar for training day reminders! Each magnet measures 1 inch in length and is affixed with a strong magnet.